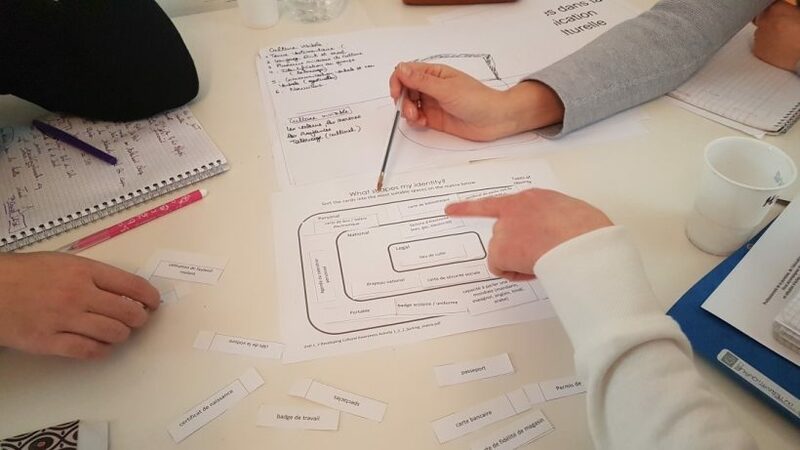 On February 1st and 2nd, Eurocircle hosted a pilot training on interculturality and mobility for young people with fewer opportunities. 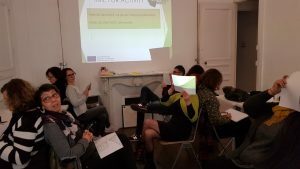 During this training, 15 professionals of youth, vocational education and training from the PACA region were trained to improve their support for young people experiencing difficulties in the mobility experience. First of all a definition of intercultural mobility has been given. It is conceived as a process of adaptation to the new cultural environment. It implies an adaptation at psychological level and at the level of personal abilities. Change can be difficult and that’s why during the training the importance of motivation that acts as a support to manage the challenges and difficulties of mobility has also been noticed. The importance of intercultural communication skills in mobility and working with young people with fewer opportunities has also been highlighted. It demonstrates the ability and willingness to adapt to different contexts and to cope with differences. All these themes were presented through both theories and practices by the two trainers, Léa Lazic and Delphine Monrozies. Their training methods allowed the participants to deeply get them involved in discussions, debates and best practices exchanges. Léa and Delphine actually used the method of non-formal education; a very effective tool and appreciated by the participants in the training. During the two days the participants were confronted with the concepts of culture, identity and intercultural competences. In support of this concept the model of the “iceberg”, the intercultural glasses, the theory of Geert Hofstede and Alfred Hoffmann. When we talk about the encounter between different cultures, it is also important to consider the meaning of one’s own personal identity in order to better understand others and overcome prejudices. Another important topic that was discussed during the two days was the concept of intercultural communication in its different forms. A new pilot testing session will take place in April. And the final result of the training will be delivered in September. ← Interculturality & Mobility in Rome !